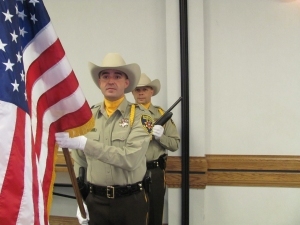 The purpose of the Wichita County Sheriff’s Honor Guard is to serve as a ceremonial unit to the community. 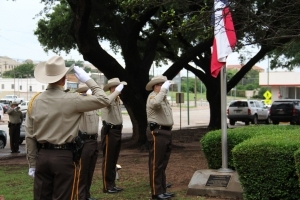 The Honor Guard serves the community by honoring those that have spent their lives serving the community. The Honor Guard participates in funerals of public officials and those that have served in the community. The Honor Guard also conducts the posting of the colors and provides the color guard at numerous events each year. 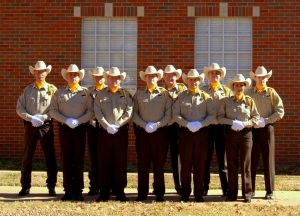 The deputies that serve on the honor guard practice drill and ceremony for hours on end preparing for the events they take part in. They serve the community with great pride and respect of the duty they bear. 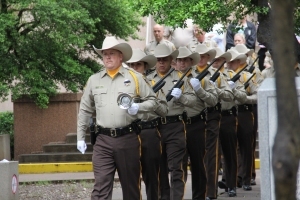 This memorial that the Wichita County Sheriff’s Office Alumni Association is working to raise funds for, will honor the fallen deputies and fallen volunteer firefighters that have given their lives in the line of duty in service to Wichita County. The memorial will be erected in front of the Wichita County Courthouse and will include a six foot bronze deputy and six foot bronze firefighter with all the names of the fallen heroes inscribed beneath them. 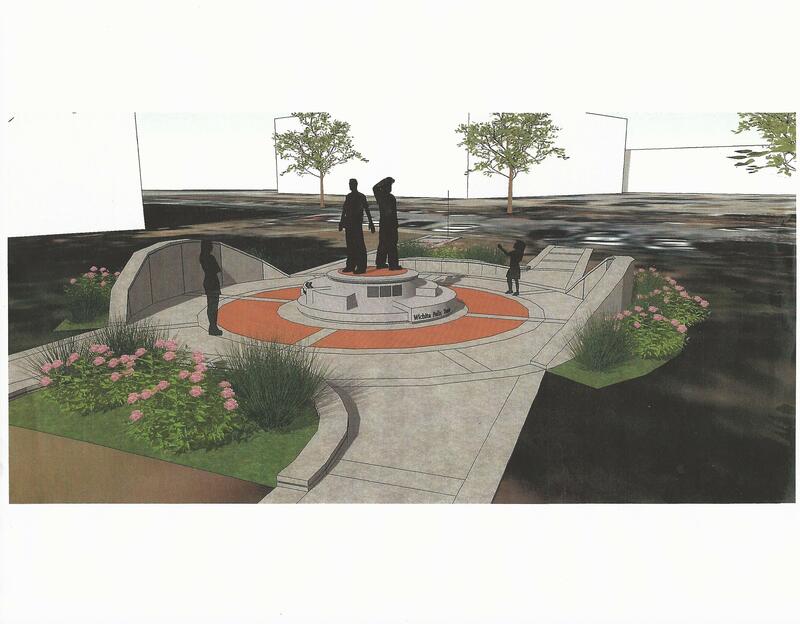 For more information on the memorial and the fundraising visit the Citizen’s Academy page.